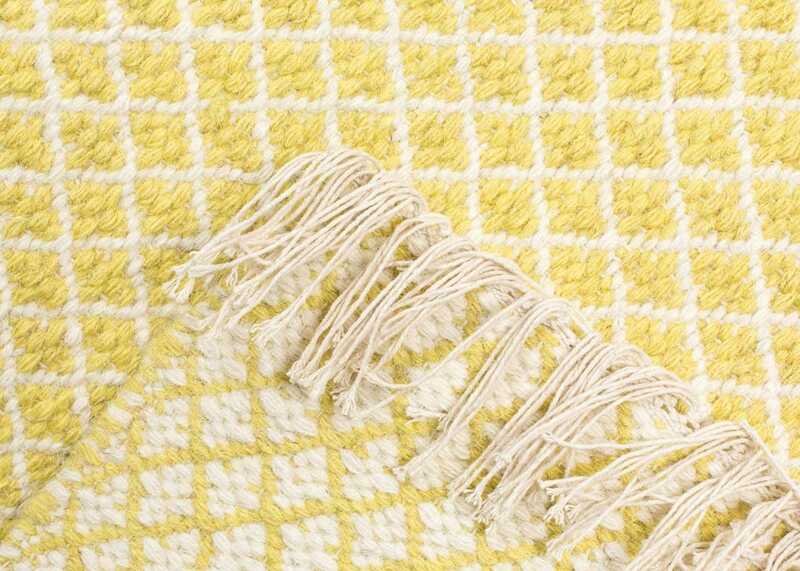 Handwoven in elegant yellow textiles and finished with tassel edges, the Maryland rug is one of Linie's reversible designs, making it versatile for any modern space. 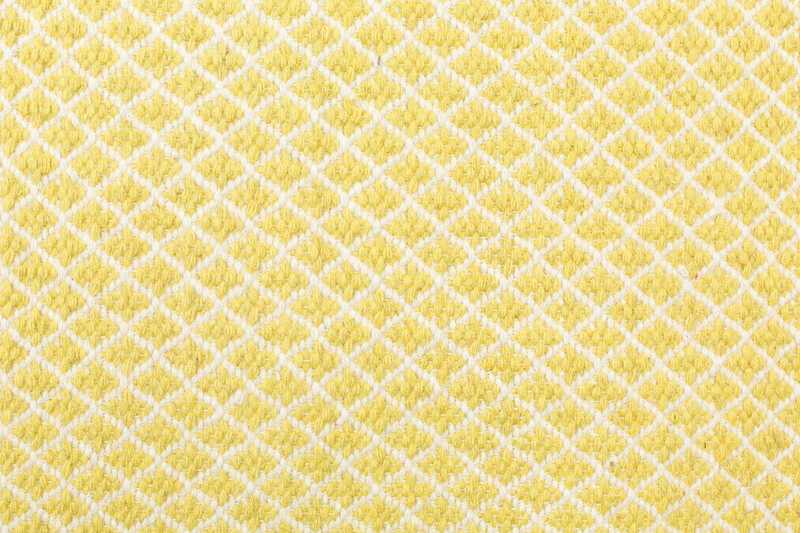 Linie Design pride themselves on creating beautiful rugs to the highest quality. 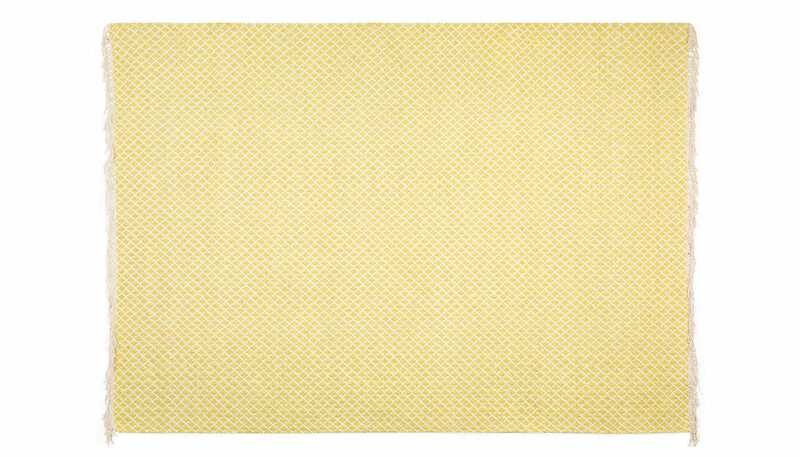 Each rug has been carefully designed by their acknowledged Danish designers to create individual and timeless pieces. The combination of this world class Nordic design tradition, and being handmade by Indian master artisans makes the rugs of the highest quality for Heal's customers. Reversible Design to suit modern spaces. Designed by acknowledged danish designers.